Shop for reduced and discounted women's snowboard boots in our end of season sale. 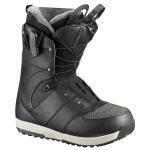 Sale ladies snowboard boots from Burton, Salomon, Vans & 32. Don't forget to check out our sale snowboard jackets & pants, discounted snowboards & cheap women's snowboard bindings, while stocks last!